1. Federalism, a union of two or more entities, reflects a relationship between the “national” (center) and the “sub-national” (Regional) entities. Ignoring Geo-political Restructuring as the primary factor in Federalism in a multi-National, multi-Lingual and multi-Cultural society like Nigeria is to deny prospects of combined and even development, the absence of which is the root cause of her underdevelopment. 2. Assuming the singularity of the Geo-Political space called Nigeria as an inviolable fact of her existence, all the solutions to its problems are relegated to maintaining that singularity while turning issues of Federalism into an administrative convenience even when it is obvious that the problem is exactly in that singularity. 3. “States”, as we have them in Nigeria, with or without their own Police Forces, are administrative entities, which were not even created by the residents but by military fiat: the Aguiyi-Ironsi regime forcibly replaced the previously agreed Regions with “Groups of Provinces”; Yakubu Gowon’s 12-State Geo-Political Structure aimed at the then impending war; Murtala Muhammed’s 19 States to Ibrahim Babangida’s 21 States and now Sanni Abacha’s 36-State Structure are mere Administrative categories but which were summarily deemed to be the Federating Units, making them an aberration upon which the Nigerian problematic rest. 4. Compounding the aberration is the introduction of a “third tier”, the Local Government, ostensibly aimed at “reforming” Local Governance but ending up as the anchor towards further centralization and sealed with a military Constitution which made the “sub-national” completely dependent on “allocations” from this center for its existence, the cumulative, negative effect of which fertilized the ground for calls for Restructuring, hence all the Amendments to the Constitution can only sustain this aberration of Federalism. 5. Contiguity of Administrative Units, regardless of the nomenclature, cannot be an issue, more so when there is no territorial limitation as to the extent of the contiguity thereby making all the current 36 States contiguous thus introducing another form of homogeneity through the backdoor. To have a territorial limitation must involve other criteria, principal of which is the Peoples and therefore cultural thus rendering the concept of these “states” as Federating Units null. 6. Good governance cannot therefore be exhibited in the sense that the consciousness of itself as an entity is determined by its relationship with the center and not by the existential realities of its inhabitants; its sustenance is determined by the “national”, hence its emoluments and remunerations are not conditioned by its political, cultural and economic reality; its political economy is bereft of any economic philosophy derived from its existential prerogatives; its lingual-cultural development, a sine-qua-non for the Peoples’ emergence from colonialism, is stunted or completely ignored; the Peoples in these “states” thus became onlookers in their own history, having suffered foreign colonial subjugation and now represented by its “local” version. 7. Any Administration can point to its “achievements” under any circumstances, hence comparative analysis of different administrations within the same political-economic matrix cannot be turned into the benchmark for an overall economic philosophy addressing the uneven development of a post-colonial society; unless such comparison aims at instituting its own social, political and economic paradigm as the standard. 8. 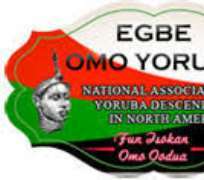 References to the economic and cultural development of the Regions in the First Republic is an indication of Nigeria’s potentials, where, specifically for the Western Region, her developmental paradigm was not simply a question of a series of policy formulations by benevolent leaders but an ideological (and philosophical) orientation aimed at negating colonial economy where “freedom for all, life more abundant” became manifested through the combined and even development of the Western Region via education, industrialization and human capital development; the pursuit of Political Autonomy for other Peoples of Nigeria through advocacy for more Regions and a vision of foreign policy anchored on less dependence on colonial military imperatives, as in the rejection of the Anglo-Nigeria Defense Pact, unlike the present circumstances where further ingratiation into global liberal political economy is the only route being pursued, despite warnings to the contrary, even from the custodians of that economic order. 9. The problematic is therefore not in the comparison, but in the realities of the political economy as to whether it can address social, economic, political and cultural underdevelopment based on its own stated parameters, bringing forth the question of the possibility of “economic development” within a dysfunctional political system, despite spirited efforts in that direction. 10. The Western Region developmental model, the product of the Political Autonomy resulting from the pursuit of Federalism as the true form of Geo-Political Architecture of the emerging post-colonial State, went through a period of systematic destruction of all its economic and human capital indices thereby rendering null the proposition of a viable, sustainable, social and economic development without Geo-Political Autonomy. Its component, Fiscal Federalism, by definition, reflects this Geo-Political necessity, otherwise, there would be no need to equate fiscal relations between the “national” and “sub-national” with Federalism. 11. All of these cannot be resolved through a series of Amendments to the Constitution as this will render the Constitution irrelevant since issues will always crop up demanding one amendment or the other. And if a decision is made creating a time-frame for any future amendment, it becomes a victim of political somersaults, especially when the “sub-national” has become completely dependent on the “national” thereby making it susceptible to whatever interests the “national” is pursuing. The Constitution would therefore have failed in its primary role and function as the Grundnorm, the Fundamental Law of the society. 12. Restructuring, therefore, is about the Peoples in their cultural and existential self-conception(s)and expressions. Expecting the same central leviathan to dismantle itself from above without the self-activity of the Peoples of the Constituent units is an exercise in futility. The discourse on and advocacy for the Federalist reconstitution of Nigeria must therefore be put in the context of political revolution by which the Peoples of the Nationalities push for and assert their right to Self-determination. The peaceful and most practical way towards attaining this goal is for each of the Nationalities in Nigeria to organize and hold a Referendum within the Nationality/Constituent Unit as the first step. 2. The questions or propositions to be voted on in the Referendum and form of the ballot paper to be used for that purpose are to be in the form set out in the schedule herein contained. 3. Those entitled to vote in the Referendum are the persons who, on the date of the Referendum, would be entitled to vote as electors at a local government election in the electoral area/ward of the State in which they reside and/or carry out business. 4. The Governor of Each State shall appoint a Chief Electoral Officer who shall appoint an electoral officer for each Local Government Area. 5. Each Local Government Electoral Officer shall (a) Conduct the counting of votes cast in the area under his/her authority in accordance with any directions given by the Chief Electoral Officer and (b) Certify the number of ballot papers counted by him/her and the number of votes cast for each question/proposition. 7. The result of the Referendum shall constitute the entire position of the people of Ogun State, Oyo State, Osun State, Ekiti State, Ondo State and Lagos State (WESTERN/ODUDUWA REGION OF NIGERIA). 8. In the event of a YES vote on the Referendum, the Governors of each State shall appoint members into a Constitutional Council of Western/Oduduwa Region. 9. The Constitutional Council of Western/Oduduwa Region shall include not more than twelve (12) other members chosen at random throughout the Region and four (4) members from Kwara and Kogi States. 10. The Constitutional Council of Western/Oduduwa Region shall be vested with powers to present and represent the views of Western/Oduduwa Region and negotiate on behalf of the Western/Oduduwa Region with all the agencies of the Nigerian Government and non-Governmental organizations involved in the process. 1. I AGREE that the Governments of Ekiti State, Ondo State, Oyo State, Osun State, Ogun State and Lagos State should negotiate with each other with a view to forming a FEDERATION of STATES to be known as the ODUDUWA REGION OF WESTERN NIGERIA which shall negotiate with the Yoruba persons in Kwara and Kogi States, whether they want to be part of the ODUDUWA REGION or not; shall further negotiate with the Government of Nigeria and the remaining 30 states and the administration of the Federal Capital Territory to achieve AUTONOMY/SELF-DETERMINATION for the said REGION within a Federation of Nigeria. 2. I DO NOT AGREE that the Governments of Ekiti State, Ondo State, Oyo State, Osun State, Ogun State and Lagos State should negotiate with each other with a view to forming a FEDERATION of STATES to be known as the ODUDUWA REGION OF WESTERN NIGERIA which shall negotiate with the Yoruba in Kwara and Kogi States as to whether they want to be part of the ODUDUWA REGION or not, and further negotiate with the Government of Nigeria and the remaining 30 states and the administration of the Federal Capital Territory to achieve AUTONOMY/SELF-DETERMINATION for the said REGION within a Federation of Nigeria. · A Federal Nigeria, through a Federal Constitution, to be known as The Union of Nigerian Constituent Nationalities, with a Federal Presidential Council, whose members will be selected or elected from each of the Nationalities as Federating Units and from whom a Head of State will be selected or elected as the primus-inter-pares with an agreed term. · Western/Oduduwa Region shall be a Constituent Unit of the Nigerian Union. · Western/Oduduwa Region shall adopt a Parliamentary System of government. · The Central Government of the Union shall have no power to interfere nor intervene in the affairs of the ODUDUWA REGION, save as shall be agreed to by three quarters of the members of the Region’s Parliament. · There shall be a Division of the Federal Armed Forces in the Region, 90% of which personnel shall be indigenes of the Region. The Divisional commander shall be an indigene of Oduduwa Region. · The Judicial power of the Region shall be vested in the Supreme Court of the Region, Court of Appeal, High Court, Customary Court and Other lower courts as the Parliament may establish. There shall be a Court of Appeal in each of the provinces. There shall be, in each province, a High Court from which appeals shall lie to the Court of Appeal and Supreme Court. · Western/Oduduwa Region shall have its own internal security system. · Each Constituent Unit of the Nigerian Federation shall control primary interest in its own resources with an agreed Tax Model for the Federation.